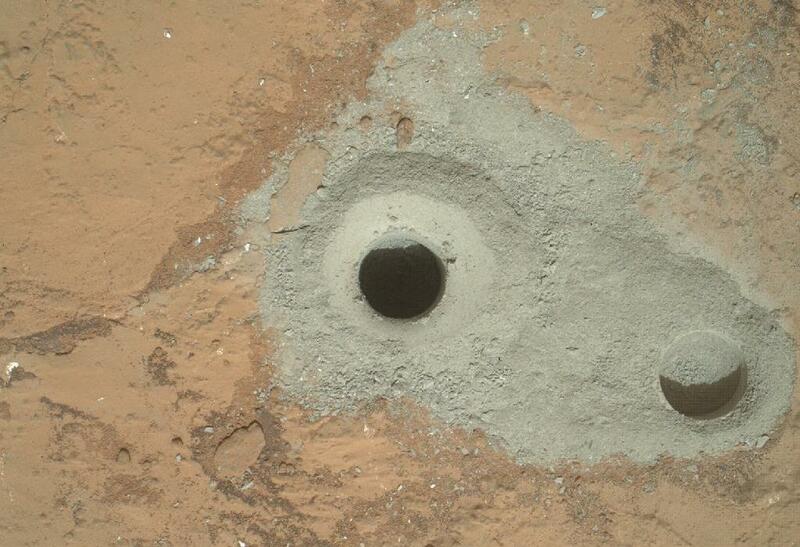 News from Space: Curiosity Finds Water! Good news (and bad) from the Red Planet! According to NASA, an examination of the fine-grained soil particles extracted by Curiosity, scientists have concluded that roughly 2 percent of Martian surface soil is made up of water. Though they did not find any traces of organic particles, this latest find confirms that water not only used to exist on the surface of the planet, but can still be found within. These results bode well for future manned missions to Mars, wherein astronauts could mine the soil for water and study it to advance their understanding of Mars’ history. The findings, which were published today in the journal Science are part of a five-paper segment that began back in August of 2012 and is dedicated to Curiosity’s ongoing mission. One of the most exciting results from this very first solid sample ingested by Curiosity is the high percentage of water in the soil. 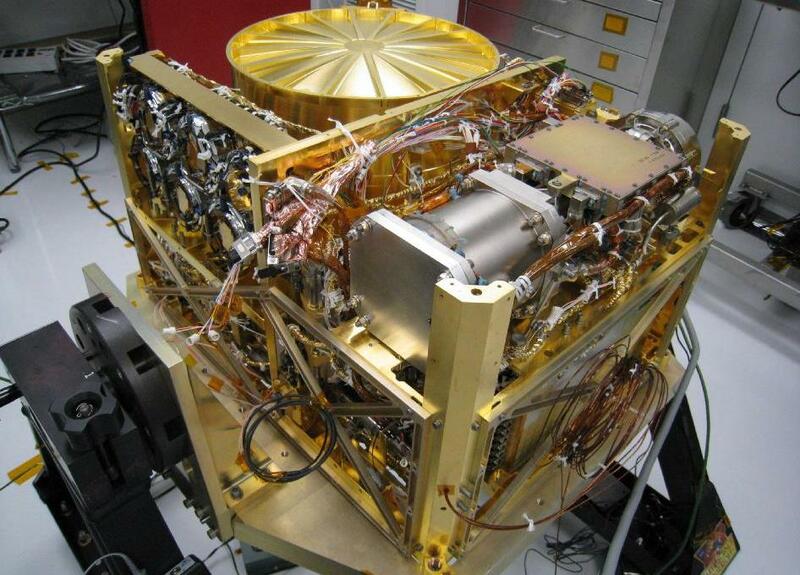 These tests were conducted using the rover’s Sample Analysis at Mars (SAM), a collection of instruments that includes a gas chromatograph, a mass spectrometer, and a tunable laser spectrometer. 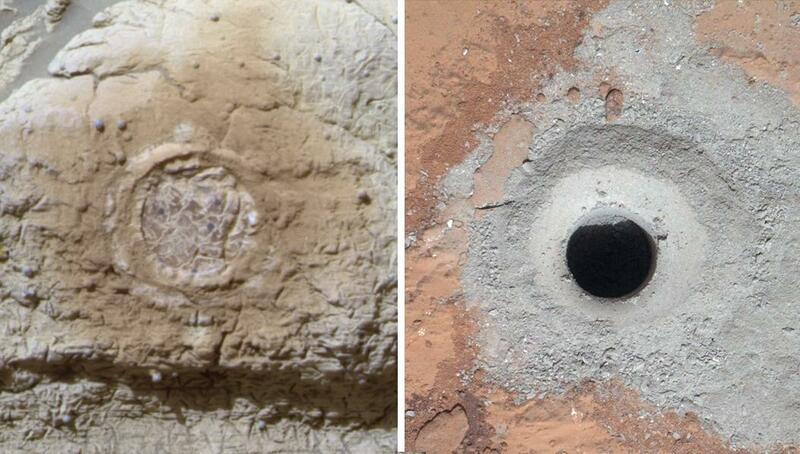 The first soil samples were collected back in February when the rover used its drill tool for the first time and created a series of holes that were a little over 6 centimeters (2.5 inches) deep and collected the fine dust that resulted. Once placed into the SAM assembly, the samples were heated to 835 degrees Celsius (1,535 degrees Fahrenheit). The gases that were released – which included significant portions of carbon dioxide, oxygen, and sulfur compounds – were then analyzed. The Mars Science Laboratory (MSL) also noticed that quantities of gaseous carbonite were found, which would suggests the presence of water in the Martian soil. These positive findings were quite welcome, especially in light of the disheartening news last week that Curiosity has yet to crack the methane mystery. Back in 2003, scientists observed methane plumes coming from the planet, a strong indicator of microbial life, which sent scientific and professional interest in finding life on the red planet soaring. 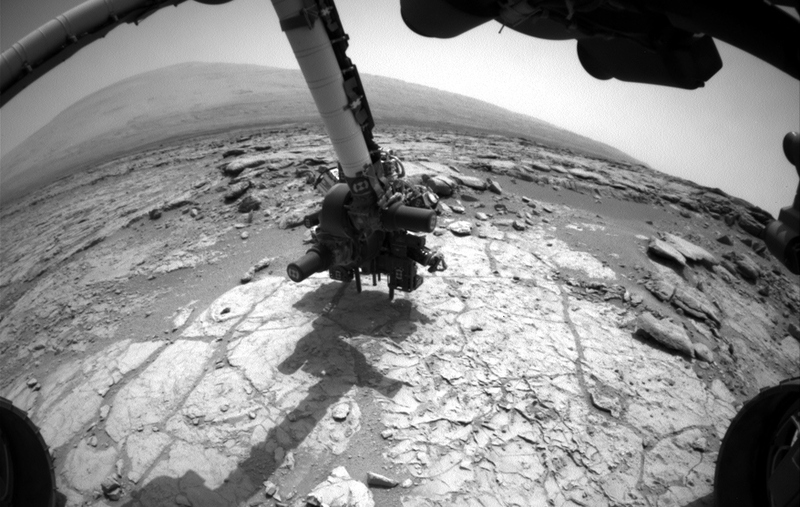 Since that time, no traces of methane have been found, and it was hoped that Curiosity would finally locate it. However, the lack of methane thus far indicates that the rover has little chance of finding existing microbial life on the planet. But the existence of water in such great quantities in the surface soil brings scientists one step closer to piecing together the planet’s past potential for harboring life. This work not only demonstrates that SAM is working beautifully on Mars, but also shows how SAM fits into Curiosity’s powerful and comprehensive suite of scientific instruments… By combining analyses of water and other volatiles from SAM with mineralogical, chemical, and geological data from Curiosity’s other instruments, we have the most comprehensive information ever obtained on Martian surface fines. These data greatly advance our understanding surface processes and the action of water on Mars. 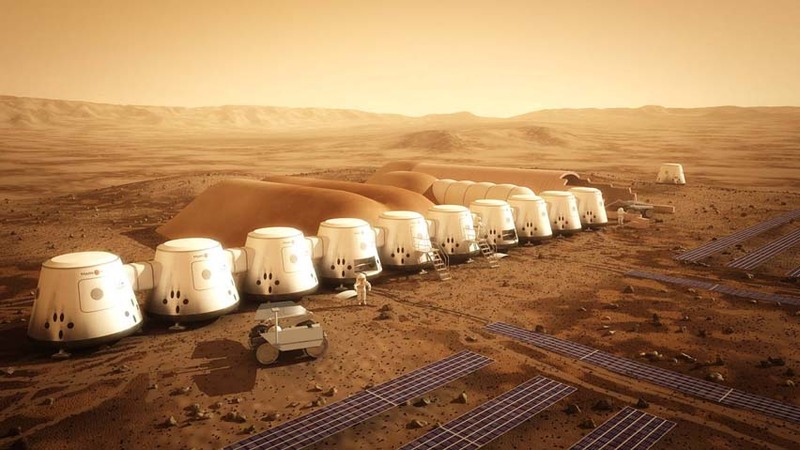 Given the renewed interest of late in manned missions to Mars – from nonprofit organizations like Mars One, privatized transportation companies like SpaceX, and the unofficial plans to mount a manned mission to Mars by 2030 by NASA – these findings are reassuring. In addition to providing fuel for hydrogen fuel cells for a return craft, subsurface water will be a boon for settlers and terraformers down the road. Leshin confirmed a cubic foot of soil, as opposed to the tiny sample Curiosity analyzed, could yield nearly 2 pints of condensation when heated. So volunteers who are planning on signing up with Mars One, pack your buckets and stoves and be prepared to do a lot of condensing! And perhaps we can expect “moisture farms” to become the norm on a colonized Mars of the future.